Li Bo Qing (???) 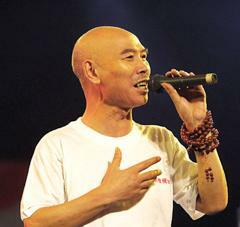 is a famous and beloved Sichuan comedian known for earthy style of analyzing day to day social issues particular to Chengdu and Sichuan. 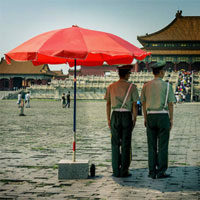 At the height of his fame during the 1990s, pretty much everyone in Chengdu turned his show on and chuckled for an hour. 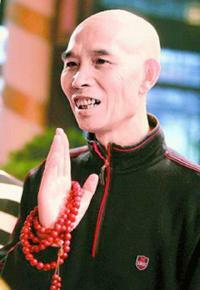 Now Li Bo Qing spends a lot of time at temples around southwest China, mostly in Guizhou. He never carries a phone with him, but he keeps a steady Weibo presence, maintains Douban and Facebook pages and his son is always by his side to take care of any unimportant business. You can also access a collection of his shows on Tudou. 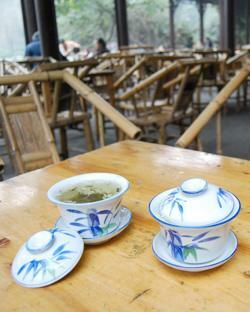 In Sichuan people use the phrase Bai Longmenzhen to describe what happens over a cup of tea or a pack of smokes. It might not seem like much (just people babbling), but for the local Chengdunese its an art form and an integral part of the culture. The back story is interesting as well. Long Men Zhen (Dragongate Formation) is actually an encirclement ploy used to lure the enemy into a cul de sac and then surround and annihilate him. To properly pull off the Chinese version of this formation requires time, skill and methodical movements because the enemy should not be allowed to escape. Other notable examples of this formation is the lure Hannibal used to crush the Romans at the Battle of Cannae. Why is this formation linked with the general idea of “babbling”? According to Li Bo Qing and other Chengdu sources, the time it takes to set up the formation corresponds with the time and effort it takes to have a proper all-encompassing confabulation session which lures in every topic, surrounds them and annihilates them over a cup of tea. It would be irresponsible of me to yap all this time about… yapping… and not provide you with a little teahouse to yap in. Check out the map below for a partial list of high-brow and low-brow locations. Please feel free to suggest your own favorite teahouses in the comments below and we’ll add them to the map. My wife Zhang Yushi contributed (heavily) to this post, thank you! 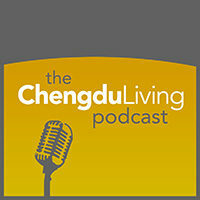 shinichi, You have any favorite teahouses in Chengdu that we didn’t mention on the map?? I feel kinda dumb for not having known who Li Boqing was. But then when I start asking around I’m like the man out for not knowing. Thanks for writing about this, once again demonstrating your deep knowledge of Sichuan culture. yeah he’s a legend in Chengdu. Too bad there aren’t any of his shows with subtitles, although that would be really tough to pull off considering it’s all in deep deep Sichuan dialect. Seriously, this is no joke. Although my Sichuanhua has improved a lot over the last 6 months since I’ve been getting massages twice weekly and those guys are constantly chatty with me. You should write a post sometime about Sichuanhua. Everyone in Chengdu seems to know you as “the foreigner who speaks Sichuanhua”. That’s always mentioned when your name comes up, hahaha.